According to the World Economic Forum Incusive Development Index 2018, the Czech Republic is among economies that have done well at making their growth processes more inclusive and sustainable, together with Iceland, New Zealand, Nicaragua, Rwanda, South Korea, and Vietnam. Other economies have significantly lower IDI rankings than GDP per capita rankings, indicating that their growth has not translated well into social inclusion; these include Brazil, Japan, Nigeria, South Africa, and the United States. The report highlights a key finding that relatively strong GDP growth cannot in and of itself be relied on to generate inclusive socioeconomic progress and broad-based improvement in living standards. This finding is even more striking when IDI trends over the past five years are considered. All but three advanced economies have seen GDP expand over this period, but only 10 of 29 have registered clear progress on the IDI’s Inclusion pillar. 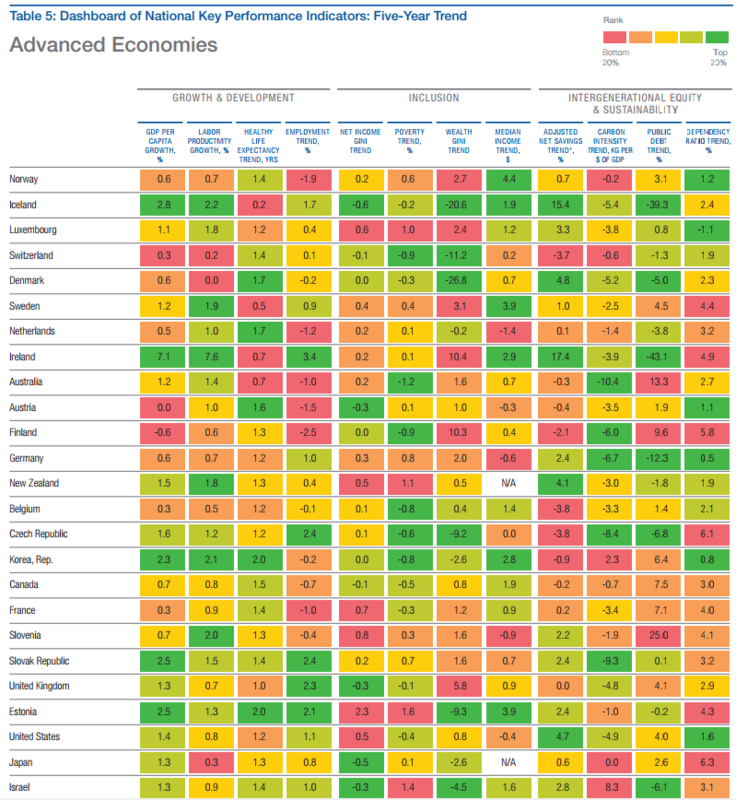 Of the 11 economies in the top two quintiles of GDP growth performance among advanced economies, only three perform well on three or more indicators (Iceland, Israel, and Korea). Four countries have been no better than mediocre (Czech Republic, Estonia, Japan, and the United Kingdom) and four perform poorly on Inclusion measures (Ireland, New Zealand, Slovak Republic, and the United States), the report shows. A majority, 16 of 29, have seen Inclusion deteriorate, and the remaining three have remained stable. This pattern is repeated in the relationship between performance on GDP growth and the Intergenerational Equity and Sustainability pillar. Emerging economy data show a similar disconnect between GDP growth and Inclusion. Compared with other advanced economies covered by the report, the Czech Republic ranks among the top 20% (5th quintile) in the areas of Employment, Poverty, Wealth GNI and Public Debt, for example. 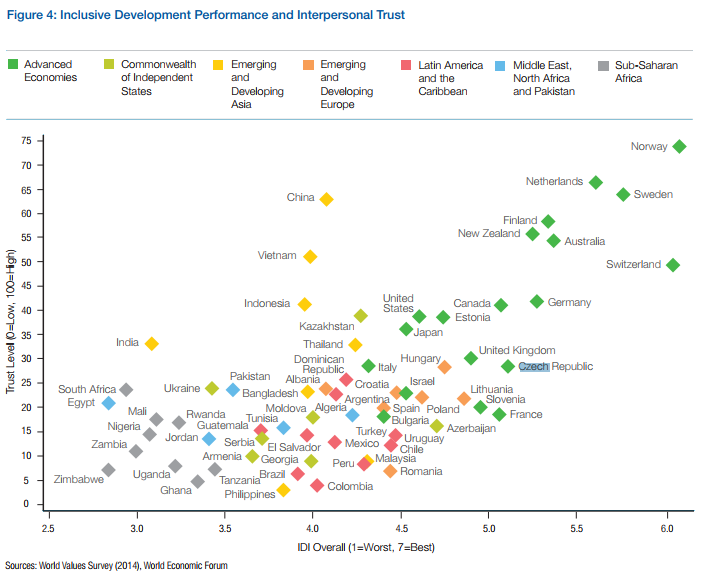 The report also highlights some correlation between inclusive development and interpersonal trust.